I was in Kitchener visiting the parents for the first time in a long time last Thursday and Friday. 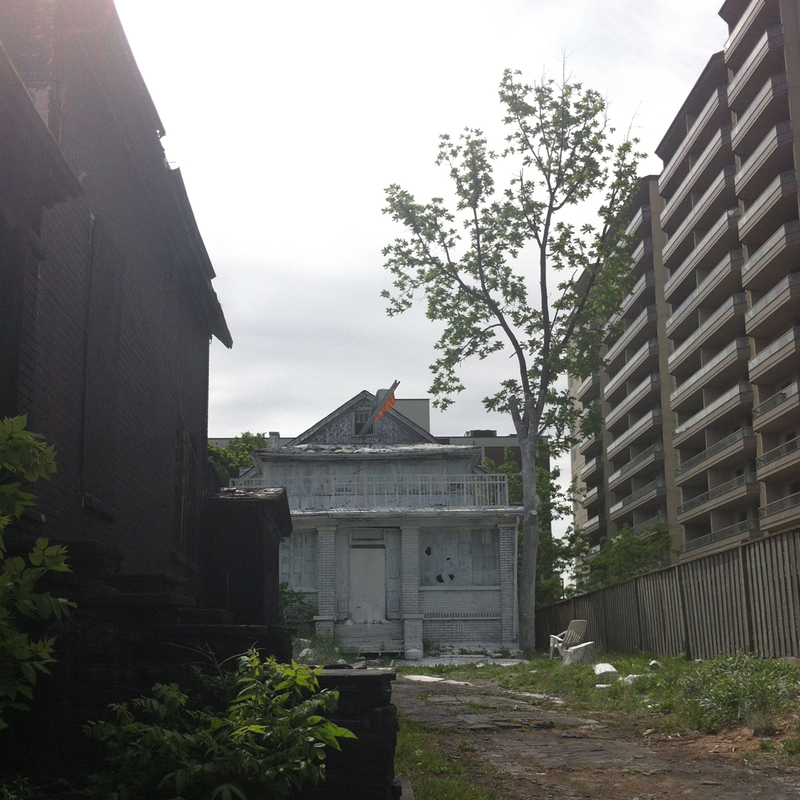 I walked downtown to pick up some things and as always had an interesting amble. Picture above, a table of $20 sensible shoes at Petsches — an old timey shoe shop on King Street. When I go back for my mom’s birthday next week I hope I have enough money that I can purchase a pair. 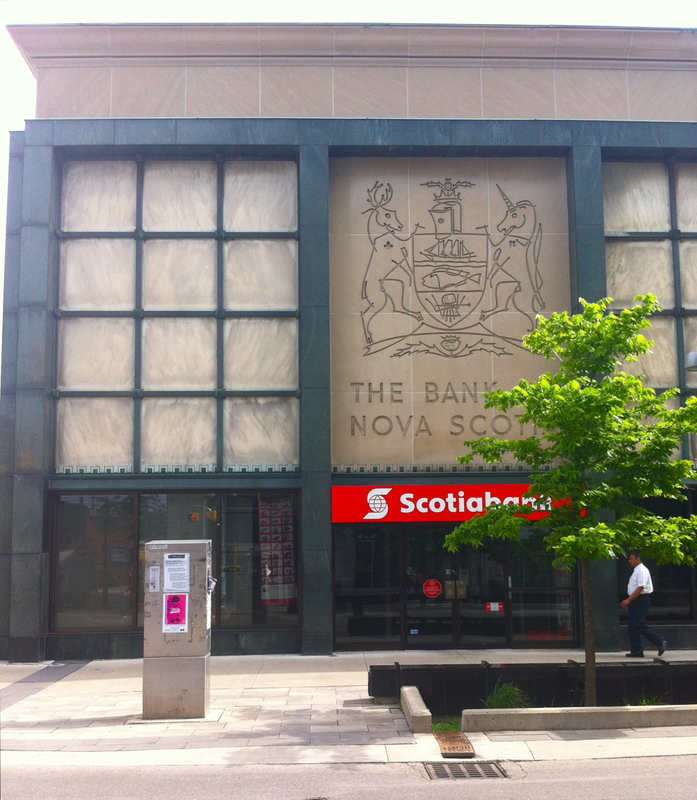 I also snapped this shot of the facade of the Bank of Nova branch on King Street because I love it so and wish I could live in it.